Department of Chemical Pathology, University of Ilorin Teaching Hospital, Ilorin, Nigeria. School of Medical Laboratory Science, Obafemi Awolowo University Teaching Hospitals Complex, Ile-Ife, Nigeria. Department of Histopathology, Faculty of Medical Laboratory Sciences, Usmanu Danfodiyo University, Sokoto, Nigeria. Pathology Department, College of Health Sciences, University of Ilorin, Ilorin, Nigeria. All correspondences to: Ibegbu A.O, aoibegbu@yahoo.com. Pseudocedrela kotschyi is a medicinally important tree, belongs to the family Maliaceae, and have been widely used by traditional healers for treatment of various illnesses, many of which have not been scientifically scrutinized. Phytochemical screening and acute toxicity study (LD50) arethe two necessary preliminary investigations toward establishing therapeutic usefulness of any plant. The current study was carried out toprovide comparative phytochemical detail of methanol bark extract (BEPK) and aqueous leaves extract (LEPK) of P. kotschyi with their LD50 value, using standard procedure.Results showed that both extracts contained variedphytochemical constituents such as tannins, cardiac glycosides, steroids, and reducing sugars. Maximum phytochemicals was observed in aqueous extract. LD50 value was found to be 1,250 and 1,750 mg extract/kg body weightintraperitoneally respectively in rat, thus BEPK was found to be more toxic than LEPK. parts may differ from one part to another. In fact, there is lack of information on the distribution of the biological activity in different plant parts essentially related to the difference in distribution of active compounds (or active principles) which are more frequent in some plant parts than in others (Solomon et al., 2013). Successful determination of biologically active compounds from plant material is largely dependent on the type of solvent used in the extraction procedure (Solomon et al., 2013). Acute toxicity refers to those adverse effects occurring following oral or dermal administration of a single dose of a substance, or multiple doses given within 24 hours, or an inhalation exposure of 4 hours (Muhammad et al., 2000). LD50 value (median lethal dose) is one way to measure the short term poisoning potential (acute toxicity) of chemical and in general, the smaller the LD50 value, the more toxic the chemical and the larger the LD50 value, the lower the toxicity (Gadanya, 2011). It is important to know that the actual LD50 value may be different for a given chemical depending on the route of exposure (Oral, dermal, inhalation) (Senin, 2006). It is usually expressed as the amount of chemical administered (e.g. milligrams) per 100grams (for smaller animals) or per kilogram (for bigger subjects) of the body weight of the test animal (Gadanya et al., 2011). Different plant parts; leaves and bark of P. kotschyi were collected from Kisi, Oyo State, South West Nigeria (woody Savannah vegetation). The plant was identified by a plant Taxonomist. The leaves and stem bark were separated from the plants and washed in tap water, rinsed with distilled water. Then the plant parts were shade dried in room temperature till there is no loss of weight. They were ground into coarse powder and stored in room temperature for further study. The methanol and aqueous extracts were prepared by soaking 100 g each of the dry powdered plant materials in 1 L of methanol and water at room temperature for 72 h with occasionalshaking for effective extraction. The extracts were filtered after 72 h, first through a Whatmann filter paper No. 42 (125mm) and then through cotton wool. The extracts were concentrated using a rotary evaporator with the water bath set at 40°C. The percentage yield of extracts ranged from 7–19%w/w. Twenty seven (27) healthy Wistar strain albino rats weighing between 150-200 g were obtained from the Laboratory Animal Centre of Osun State University, Osogbo, Osun State Nigeria. The rats were housed in clean metallic cages and kept in a well-ventilated room and allowed to acclimatize to the laboratory environmentalcondition for one week, prior to the commencement of the experiment. They were fed with standard animal pellet and water ad libitum. Hydrochloric acid, Acetic acid, Hydrogen Peroxide, Ferric chloride and the rest of the chemicals utilized were of analytical grade and were purchased from ROVERT Scientific Limited, Edo, Nigeria. Various phytochemical constituents were tested for,using different chemical tests; Alkaloids (Wagner’s reagent test), Cardiac glycosides (Keller-Killani test), Flavonoids (Alkaline reagent test), Sterols (Liebermann-Burchad’s reaction), Tannins (Ferric chloride test/ Braymer’s test), Phenol (Ferric chloride test), Quinones (HCl test), Saponins (Foam test) and Terpenoids (Salkoki’s test) as described by loan (1994). The method of Fixed Dose Procedure (FDP) (OECD, 1981) was used to establish LD50 value. were fasted over-night prior to dosing (they were allowed access to water). Following the period of fasting, they were weighed and the test substance administeredintraperitoneally as shown below. In the 1st phase:There were 2 groups of 3 rats per group. Group 1 was treated with the BEPK extract at doses of300mg/kgand Group 2 was treated with1000 mg/kgof LEPK . In the 4th phase: a group of 3 ratswere further treated with BEPK at dose of 1,250 mg/kg. After the substance has been administered, food was withheld for a further 4 hour. They were closelyobserved in the first 4 hours and then hourly for the next 12 hours followed by hourly intervals for the next 56 hours (overall 72hrs) after the administration to observe any death or changes in general behaviours and other physiological activities (OECD, 2001). The medicinal value of plants lies in some chemical substances that produce a definite physiological action on the human body (Montilla et al., 2005). The most important of these bioactive constituents of plants are alkaloids, tannins, flavonoids, and phenolic compounds (Mir et al., 2013). Phytochemical are naturally synthesized in all parts of the plant body; bark, leaves, stem, root, flower, fruits, seeds, etc. i.e. any part of the plant body may contain active components.Results of comparative study obtained for qualitative phytochemicals screening of BEPK and LEPKare presented in table 1. Ten phytochemicals werescreened for; alkaloid, cardiac glycosides, carbohydrate, flavonoids, phenols, saponins, sterols, tannins, terpenoids and quinines. All were found present in aqueous leaf extracts, while quinine and terpenoids were absent in methanol stem bark extract. This finding corroborates the reports of Asase et al.,(2008); Musa et al.,(2008) and Ojewale et al.,(2013). Remarkably, the concentrations of flavonoids, alkaloid and tannins were higher in the leaf extract than the methanol stem bark extract. 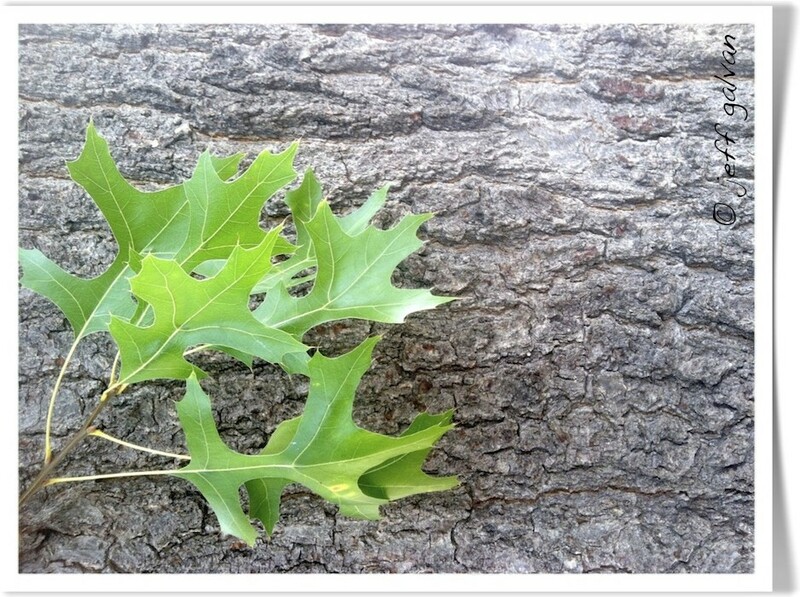 This suggests that the leaf offers a wider array of phytochemicals than the bark. pharmacological activities: antidiarrheal, analgesic and anti-inflammatory among others in the animal body systems.Diets containing tannins at low dosages (0.15 – 0.20%), have been shown to improve wellbeing of the human body (Shiavone et al., 2008). Saponins enhance nutrient absorption and aid in animal digestion. Cardiac glycosides could improve circulation and heart function in congestive heart failure (El-olemy et al., 1994). The LD50 for BEPKwas estimated as1,250 mg/kg i.p. in rat (Table 2). While LEPK was found to have median lethal doses of 1,750 mg/kg i.p. in rat (Table 3). These values indicated that BEPK was slightly toxic to the test rats.Though the stating dose for LEPK was 1000 mg/kg, this isaccording to (OECD, 2000). However, both the LD50 values were significantly lower than earlier value gotten by Ojewale et al., (2014) the reason for this might be due to difference in the solvents used for the extractions. The World Health Organization bases its ranking of hazards chemicals on the lowest published rat oral LD50 in mg/kg body weight and in it ranking, any substance with oral LD50 values in the range of 200 – 2000mg/kg body weight oral falls into category II and classify as moderately toxic substances. Thus, the indication is that both BEPK and LEPK are slightly toxics but could be used safely on human at lower doses (Adoun et al., 2012). The result also indicated that LEPK is less toxic in relation to BEPK, though both are relatively safe to the experimental model used, at the doses indicated. Both methanol bark and aqueous leave extracts of Pseudocedrela kotschyishowed some of their chemical componentssuch as flavonoids, alkaloids, saponins, tannins, glycosides, phenol and sterols. There is no doubt thatthese plants are reservoir of potentially useful chemical compounds which serve as drugs, provide newer leads andclues for modern drug design. The LD50 of both the Leaves and Bark has been established in this study. So, its slighttoxicity at the higher doses should be taken into consideration during usage. Also, further clinical and pharmacological study should be conducted using lower dosage to investigate the unexploited potentials of this plant.